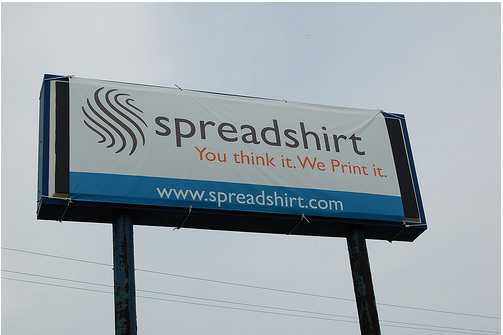 Spreadshirt recently opened a new production facility in Greensburg, Pennsylvania. The new facility is just down the road from their current location and is all of the U.S. production and I guess we can assume that business is booming if they are opening a new facility. 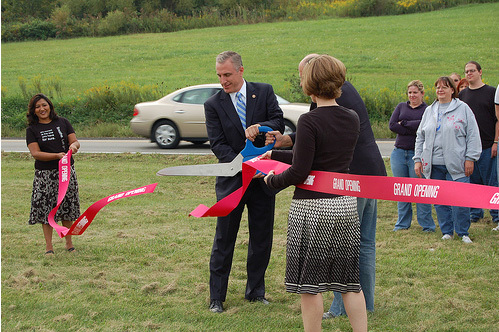 There was a ribbon cutting ceremony a few days ago that was attended by Congressman Tim Murphy, shop owners, and local media. (Hey! Why wasn’t I invited). 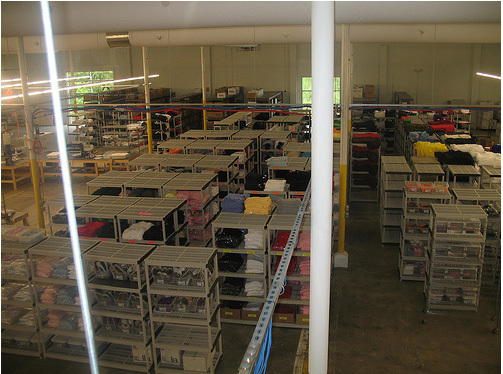 Gillie was one of the non-Spreadshirt employees who was privileged to go to the grand opening of the new Spreadshirt facility and you can check out her Gillie’s Blog for more info and Gillie’s lovely pictures of the Spreadshirt facility as seen below. 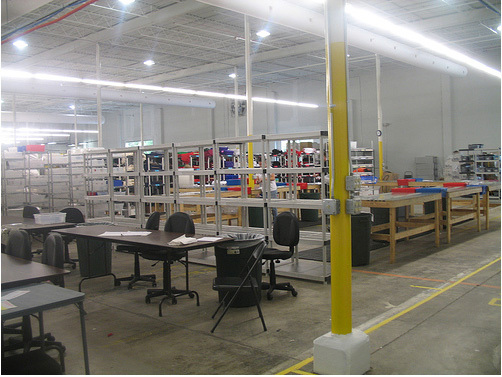 I was very pleased and surprised that they let us common folk see inside the product facility with pictures. It is too bad we can’t see all their high-tech printers in action but it is still nice to see a general overview of the production plant. 🙂 Thanks for the nice words. 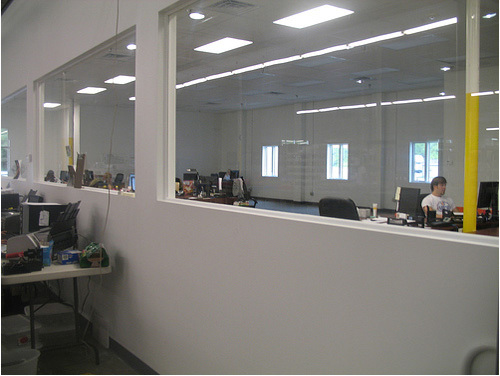 We are very proud of our new facility. Regarding seeing the “printing” you actually are seeing our “high-tech” printers. 🙂 What you label as “preparing the screens” is actually “weeding”. 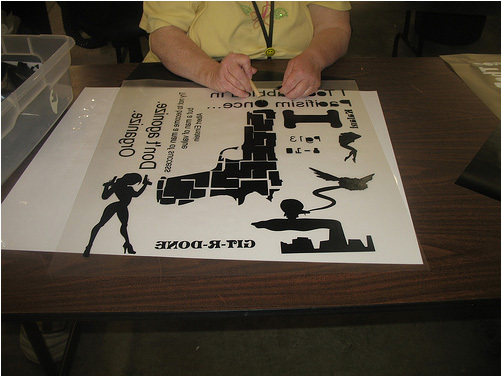 It is preparing the transfer that will be put on the shirt. Our high tech is our people.